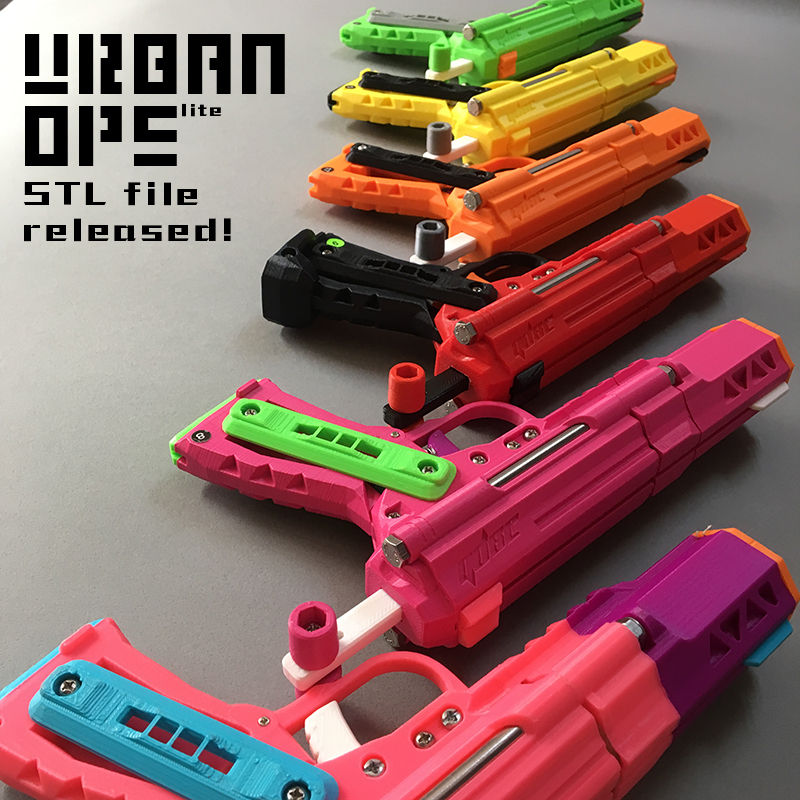 Urban ops STL file released! Hello, everyone on NH,I’ve been working on developing lately, so I diving for a while. The developing of Urban ops started around this April. Here are some results that I would like to share. 2.TECH TARGET: The extended look of the sight has a techy vibe to it. 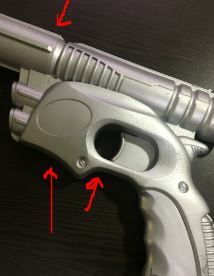 The ergonomic trigger is well designed, perfect for gun spinning tricks. I was hoping that I could do the same with my design. 5.BERETTA 93R: It was the folding stock that impressed me. The look of BERETTA in Robot Cop is also quiet outstanding. The color of Urban ops conveys a feeling of the night with purple and aqua blue. What’s interesting is that when we were taking photos of it, it merged into the night of the city. The sporty design of the muzzle brake consists of different tringles. Among guns designed specifically for competitions, a lot of them have a muzzle brake with geometric design. I didn’t make rounded hole because they are very common. O-Ring is adopted in place of screws. It comes with 5R rifled barrels because it reduces the time of making. Parts marked with “100fill” should be printed at 100%. Edited by 3DBBQ, 18 November 2018 - 02:07 AM. 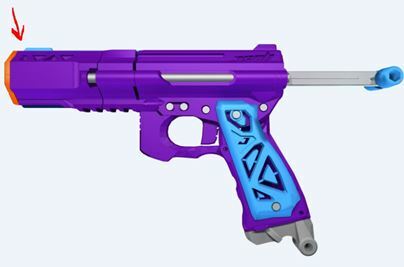 Of course you publicly release this beauty’s files the same week I published my pull-back pistol! Ah well, at lease mine is different in intent with the focus on the swappable barrels. I also must say I was aware of the urbanops when you first offered it for sale, and it, along with my research into reviving some of Boltsniper’s old stuff, inspired me to peruse the 1” plunger tube format. Are you using 1” 200 PSI (thinwall) or 1” Sch 40? What kind of FPS/range do you get? coincidentally everyone is releasing their new work at this time! 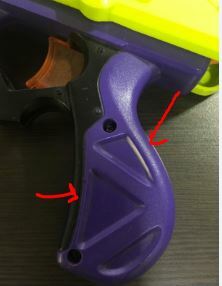 Can this be replaced with a rival round or mega? >>>>>What kind of FPS/range do you get? Yes, the barrels could be anything; Im hoping to make mega, Rival, sledgefire, and other shells. Im working on tightening the connection some more before starting work to make more types though.